The January Editor’s Choice article addresses a critical issue in conservation in a remarkable biological hotspot. Fong et al. modeled the distribution and species richness of 40 amphibian species from eastern Cuba — many of which are endemics with extremely narrow distributions — to identify hotspots, detect gaps in species representation in protected areas, and select additional areas to fill these gaps. It is a creative use of museum records, extensive field work, and modeling with clear implications for conservation and the extension of protected areas, and has important implications for other Caribbean mountain ranges. Congratulations to Ansel and collaborators, who explains more about the research, its motivation, and the implications for amphibian conservation in Cuba below. Eleutherodactylus iberia: According to our results, this Critically Endangered frog is not adequately covered by the Cuban Protected Areas (Photo by Ansel Fong). Amphibian declines around the world have become a major topic in biodiversity conservation in the last decades. At the same time, knowledge about these animals is far from complete – not only from a taxonomic point of view, but on the distribution, natural history, and other kinds of data needed to formulate adequate conservation strategies. This problem was the principal motivation for my PhD research, for which I got data on the composition and distribution of amphibians in the mountains of eastern Cuba to analyze their representativeness in the protected area (PA) network. 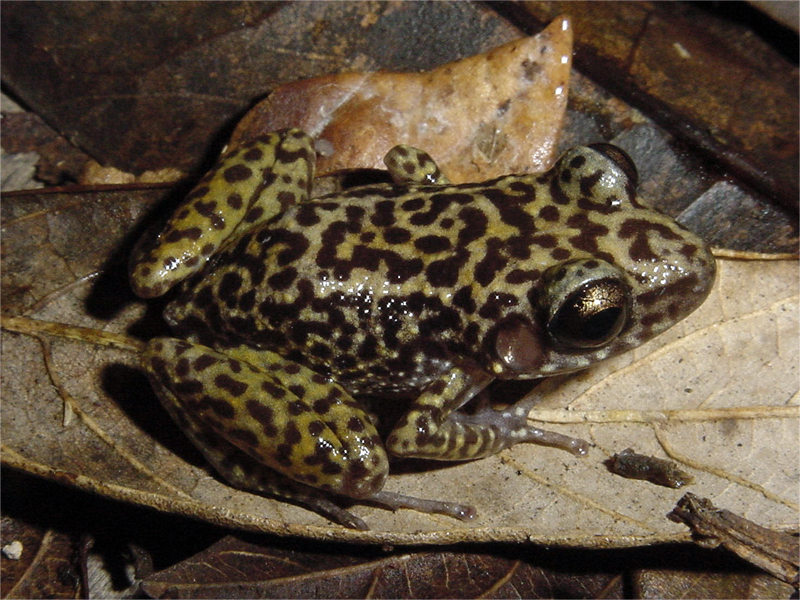 Eleutherodactylus ricordii: This species is considered covered by the Protected Areas network according to the representation targets used in the paper (Photo by Ansel Fong). It is well known that one of the limitations for amphibian conservation planning in tropical countries is the scarcity of distribution records, which is even worse in species with reduced distributions. 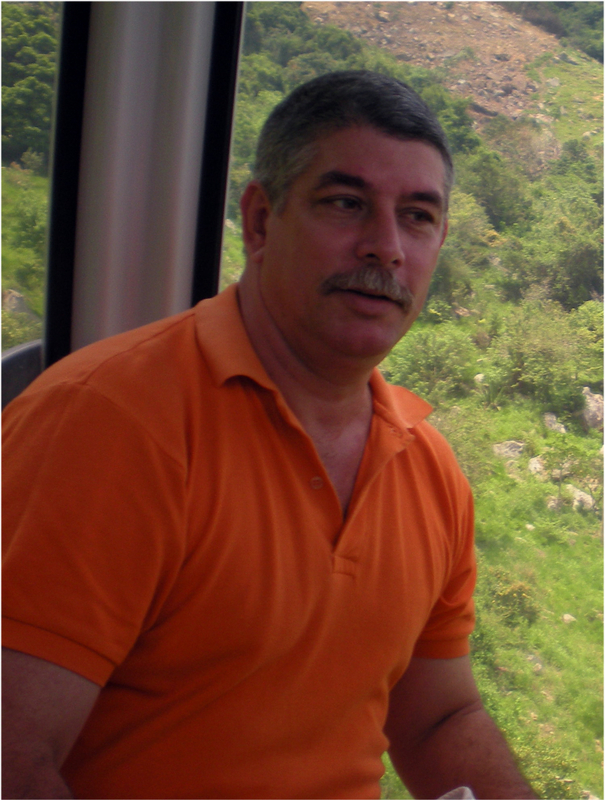 Since 1996 I have been working with Dr. Nicasio Viña in modeling Cuban vertebrate distributions to find high richness areas and conduct biogeographical analyses. 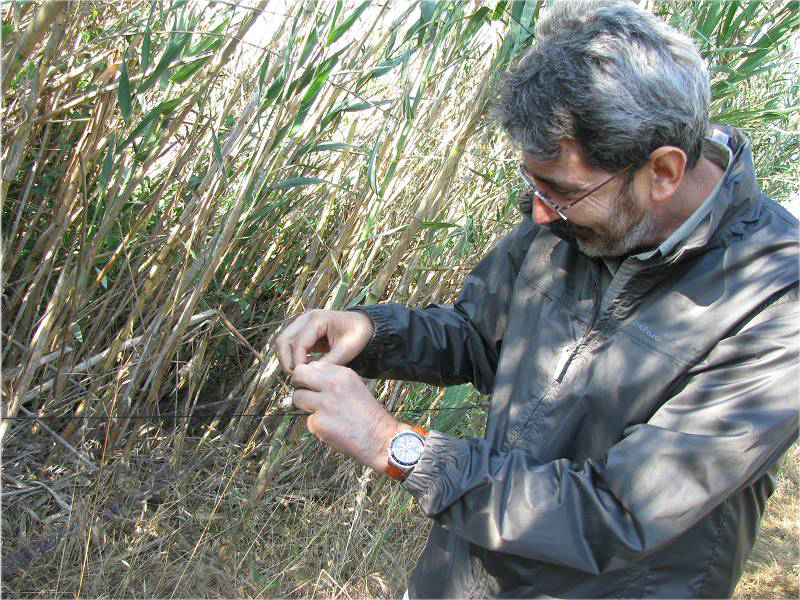 In 2004 we met Dr. Germán López, who was applying niche modeling of Iberian animals in ecological studies and in distribution atlases. Some Spanish-Cuban brainstorming developed the idea of applying distribution modeling to our data on Cuban amphibians to help us resolve the questions we were addressing. At this point we had another dilemma: should we make maps of all of Cuba with a low resolution or get high resolution maps of a limited area? 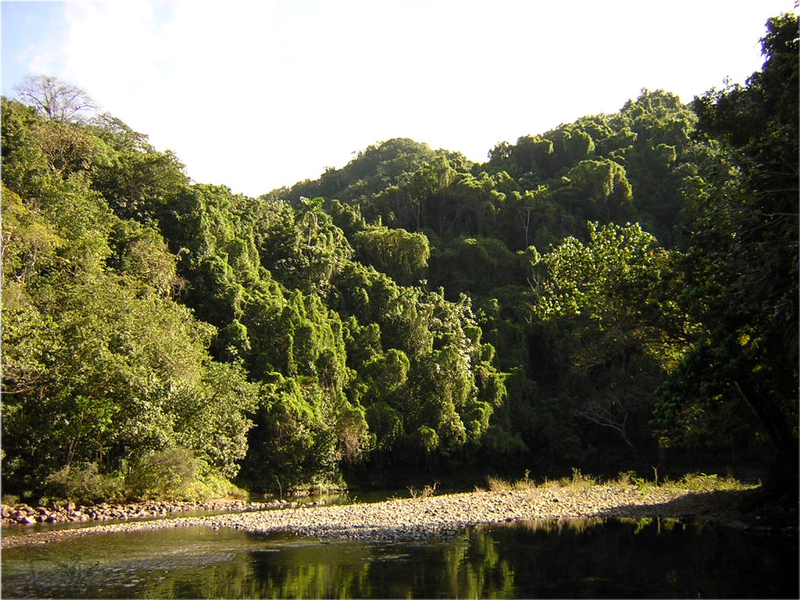 We decided for modeling distributions in the two mountain massifs of eastern Cuba, which are areas with astonishing numbers of Cuban amphibians (the numbers can be found in the article) and could be considered a hotspot in their own right. 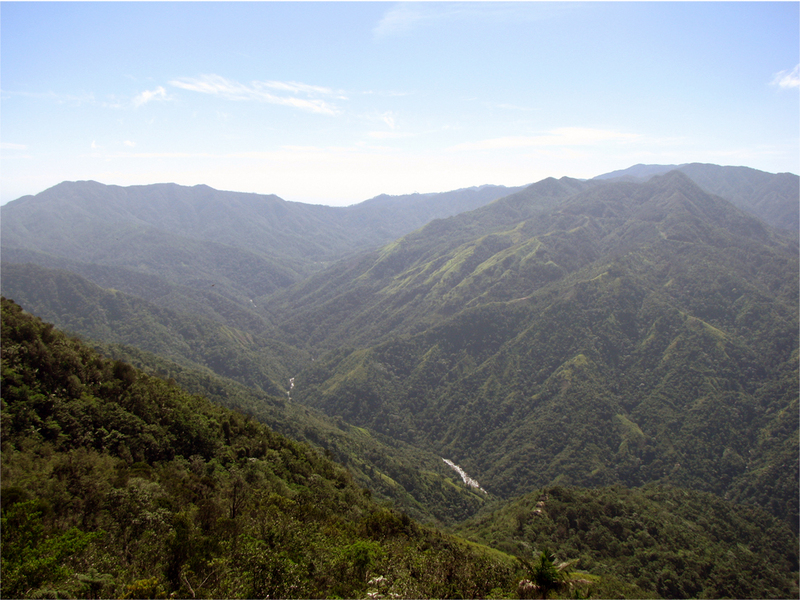 These mountains have the largest remaining natural vegetation stands in Cuba but also a high deforestation rate, which has led to losses of about 43% of the forest’s original extent. Thus, it is urgent to have good knowledge of amphibian distributions and species richness to test if the present network of PAs would be able to guarantee the conservation of this group. In this sense, we expect this work has provide decision makers with crucial information and maps at a scale that is useful for conservation planning in these mountains, thereby contributing to the conservation of amphibians in Cuba. The Jaguaní river in the Alejandro de Humboldt National Park, one of the hotspot at the Sagua-Baracoa mountains (Photo by Ansel Fong). Based on 45 environmental variables and 1011 presence-only records, we were able to model the distribution of 40 Cuban native amphibian species. To improve the accuracy of our predictions we implemented two strategies: (i) using two modeling methods to reach a consensus distribution map for each species and (ii) to adjust the predicted species richness by locating well-surveyed cells and identifying the species erroneously excluded. We then mapped the richness of amphibian species and identified the areas with the highest values of total, endemic and threatened amphibian species (our hotspots). In the next step, we examined the overlap of the hotspots and individual species distributions with the current system of PAs. Finally we detected gaps in species and hotspots representation inside PAs, and selected new territories that are worthy of conservation. Our analyses revealed that every species except one had at least one square kilometer represented in the reserve network. Since we were convinced it was not enough, we decided to go further and find out how many of the areas of occupation were truly into the borders of PAs. This evaluation highlighted the fact that inclusion of species with narrow distributions in PAs is almost accidental (only 32% of local endemic species met the conservation targets), and provided evidence that the PA networks designed in the traditional way (e.g. based on vegetation and landscape considerations) mostly fail to protect local endemic amphibians. Most importantly, it is likely that other Caribbean islands have the same problem, considering the high percentage of local endemism of the amphibian fauna in the Antilles. 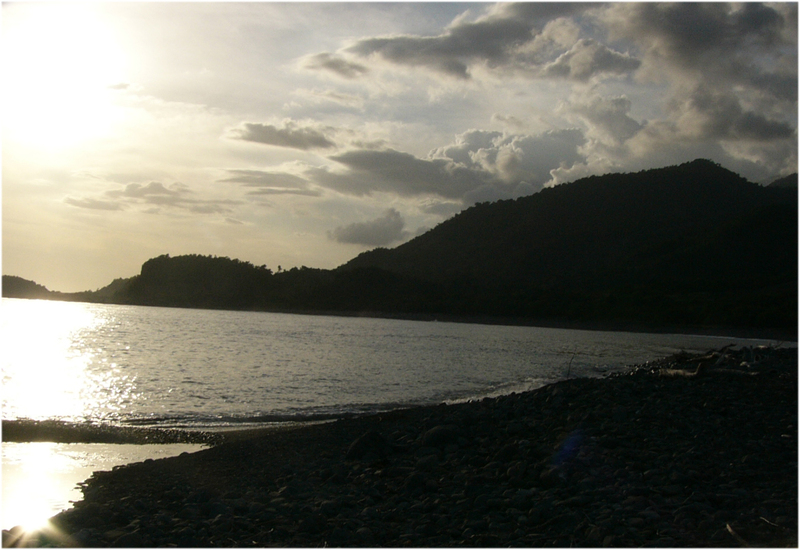 A partial view of the Sierra Maestra mountains (Photo by Ansel Fong). Based in our findings we propose to incorporate some unprotected sites into the network of PAs, most which are close to or contiguous to established Pas, so that the conservation targets for the species will be attained. We are aware that modification or establishment of new PAs could be a delayed process, so an alternative option would be management for conservation outside PAs. Innovative management policies in those unprotected hotspots and managing the forest and crop stands in them could be the strategy to guarantee species preservation. The mountains of eastern Cuba rise just from the Caribbean sea (Photo by Irelis Bignotte). This study provides an initial conservation evaluation for amphibians of eastern Cuba based only on species richness. We consider the next step to apply other indicators to achieve a complementary and deeper assessment. The representation of isolated or single populations in PAs, the species composition in hotspots, and their vulnerability are examples of other criteria to consider when performing additional conservation assessment and planning and when extending similar analyses to other taxa or territories. Future work should seek to expand analyses like ours to other mountains in the West Indies — especially to Massif de la Hotte in Hispaniola which is known to harbor a high richness of endemic amphibian species, and eventually to the entire Caribbean region. 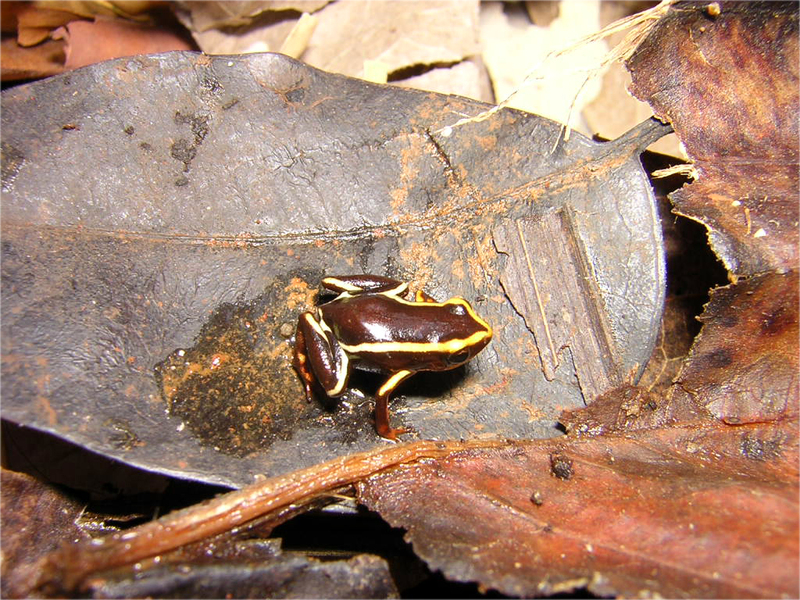 This work will provide a comprehensive framework for amphibian conservation in this global biodiversity hotspot. We also encourage others to conduct analyses similar to those we used in our paper to other taxa with high values of endemism and threatened or geographically restricted species in the Caribbean. Such studies would help assess their conservation status and to improve the PAs network in the region. 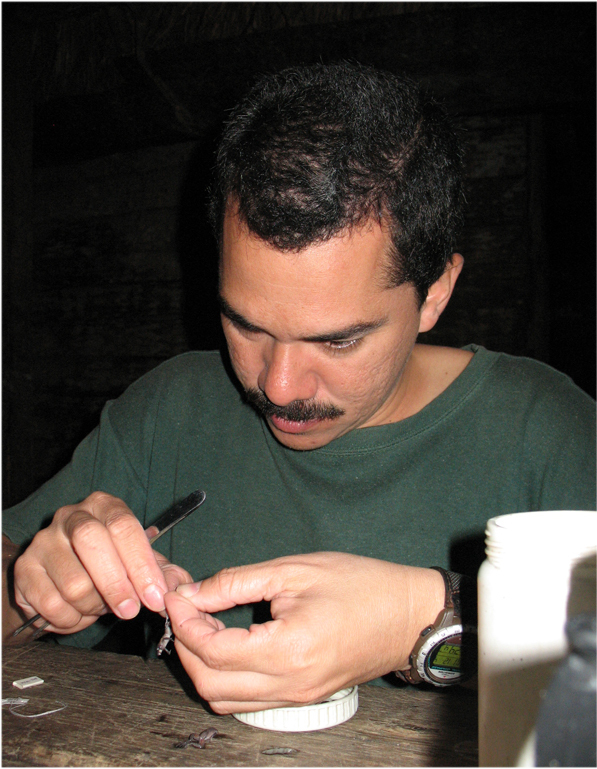 Co-author Germán López-Iborra doing field work (Photo by Ansel Fong). Lead author Ansel Fong taking data of a specimen in a field camp. (Photo by David Lambert). Co-author Nicasio Viña Dávila (Photo by Ansel Fong).